January 26’s opening show brings you the finest line-up of the year. Featuring a headline set by JAMES ACASTER – the finest comedian in the country, best known for his smash hit Netflix stand-up special Repertoire, record-breaking five Edinburgh Comedy Award nominations, his best-selling book and regular TV appearances. Joining James are performances by: the Edinburgh Comedy Award winning comic/poet, Radio Four star, Alan Partridge co-star TIM KEY; ‘the man with the shirts’ from Live at the Apollo, as regularly seen on Mock The Week, MILTON JONES; and LOLLY ADEFOPE – acclaimed character comic, star of Dave’s Taskmaster, as seen in C4’s Damned and several US movies including Mission: Impossible – Fallout and The Spy Who Dumped Me. Hosting the night is Edinburgh Comedy Award winner, Live at the Apollo star, Radio X host and all-round ‘vibe magnet’ JOHN ROBINS. 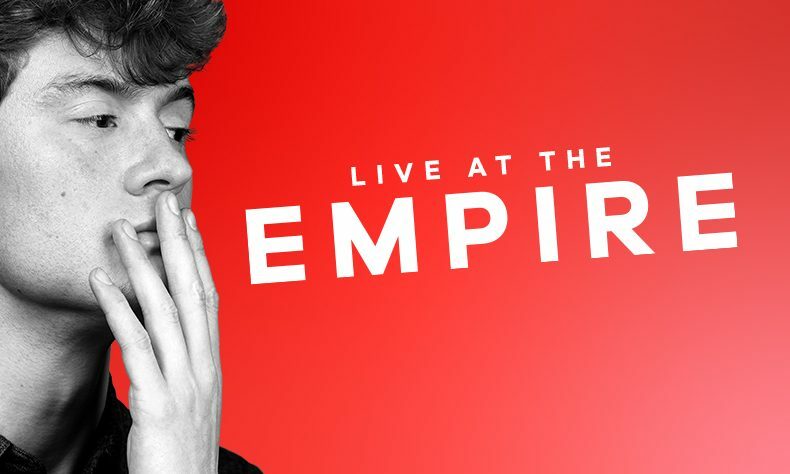 *Why not try Live at the Empire in March?